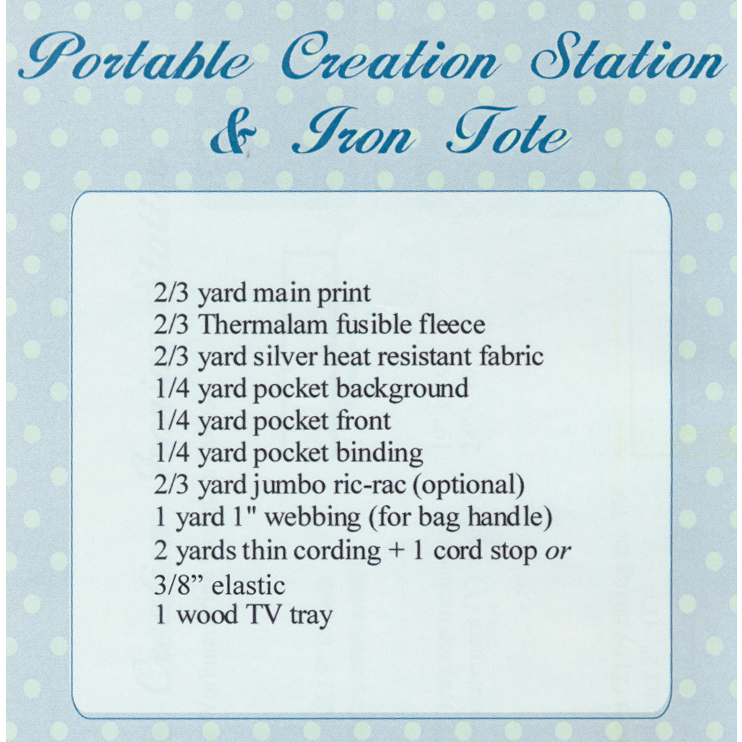 Create this darling portable ironing station and tote with this pattern! The iron tote is lined with heat-resistant fabric when you're on the go. Take this convenient station with you to quilting classes or as a convenient workspace at home! 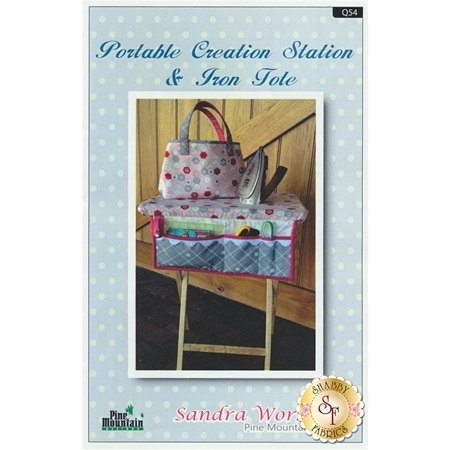 This pattern includes all instructions for the creation station and iron tote.